Applies from Tue 13 Oct 2015, 12.05pm. Last reviewed: Wed 27 Feb 2019, 3.10pm. 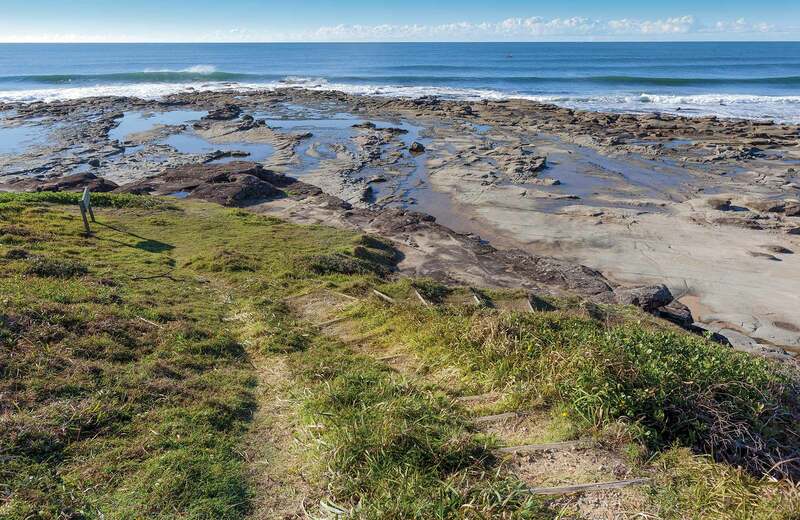 Walkers on the Yuraygir Coastal Walk are advised that the staircase at the southern end of Angourie Back Beach has been removed due to safety concerns. All walkers should commence the walk via the track at Mara Creek picnic area, as there is no longer access from the beach. Penalties apply for non-compliance. For more information, please contact the Grafton NPWS office on (02) 6641 1500 or visit the NSW National Parks safety page for park safety guidelines. We encourage landholders to participate in control programs on private property. Contact North Coast Local Land Services to discuss and arrange programs. These programs are run to protect threatened species identified in the NSW Fox Threat Abatement Plan and Saving our Species programs. Please be aware of the baiting programs and avoid bait stations in all areas, at all times. There will be signs up in areas where baits have been laid, indicating the date the baits were placed. Delays may occur due to unsuitable weather conditions and associated restricted access. NPWS may also run additional programs following these initial programs, depending on wild dog activity. Domestic pets are highly susceptible to 1080 poison. Dogs, cats and other pets and domestic animals are not permitted in NSW national parks, reserves and state conservation areas. For more information call the NPWS Clarence area office in Grafton on 02 6641 1500. The stairs from Grey Cliff campground to the beach are closed. The stairs have been washed away because of the large swell from Cyclone Oma. Visitors can't access the beach via these stairs. Visitors can access the beach via the old vehicle beach access point 250m north of the stairs. For more information, please call the NPWS Grafton office on 02 6641 1500. For further information please call the NPWS Grafton area office on 02 6641 1500.